A new report to come from the International Renewable Energy Agency (IRENA) has detailed its belief that Africa has not only the potential but the ability as well to fuel the majority of its future growth by using renewable energy. The report, ‘Africa’s Renewable Future: The Path To Sustainable Growth’, can be found here (PDF) and is one of many announcements made by IRENA during the World Future Energy Summit (15-17 January), part of Abu Dhabi Sustainability Week. Countries throughout Africa are experiencing massive economic and demographic growth, with six of the world’s ten fastest rising economies coming from Africa, and a population that is expected to burst through 2 billion by 2050. Subsequently, policy makers in Africa, and dealing with Africa, are facing a decision: where is the energy going to come from to sustain such a population and economic increase? The IRENA report shows that a combination of solar and hydropower resources, when complemented by bioenergy, wind, geothermal, and marine resources in select regions, could help Africa continue its growth unhindered. All of this comes on the heels of a GTM Reserach report which listed the Middle East and North Africa as having the capacity to reach 3.5 gigawatts of solar capacity by 2015. January 16, 2013, Abu Dhabi: Africa has the potential and the ability to fuel the majority of its future growth with renewable energy, according to a new report from the International Renewable Energy Agency (IRENA). African countries are experiencing some of the world’s fastest economic and demographic growth, with six of the world’s ten fastest rising economies, and a population expected to increase from 1 to 2 billion people by 2050. Policy makers face a choice: do they focus on dirty, often expensive and insecure fossil fuels, or do they embrace the continent’s massive renewable energy potential? The decisions they take today will have a lasting impact on growth, environment, health and poverty reduction, as well as global CO2 emissions. 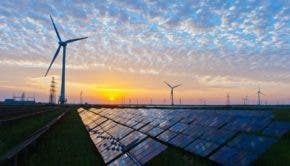 With world-class solar and hydropower resources, complemented by bioenergy, wind, geothermal and marine resources in some regions, the report shows that Africa has the opportunity to leapfrog to modern renewable energy – unlocking huge economies of scale, and offering substantial benefits for equitable development, local value creation, energy security, and environmental sustainability.